First, its body. Roundish doors, which became a symbol of its era, still look nice in modern interiors. 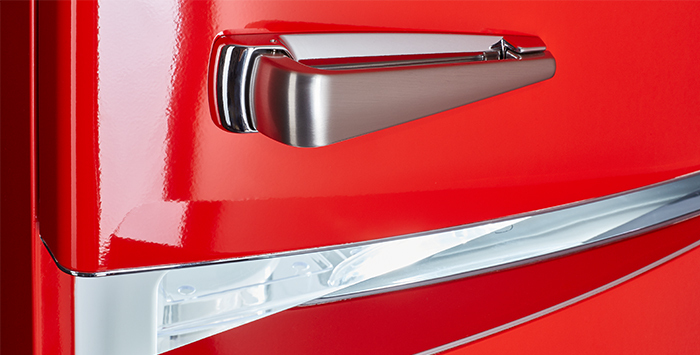 Elegant Cadillac metal handles are robust and reliable. And its colouring. Glossy red is for those who want to organise a resilient era of Elvis in the kitchen, with favourite milkshake and rock’n’roll. Anthracite velvet – for those who know that the spirit of Italy in the middle of the last century is their element, with its elegance, red wine, and a walk together by Vespa. Cream shade of champagne – for those who wish to enjoy breakfast in British 50’s style, drink tea from porcelain set and read morning The Guardian edition. And what about modern technologies? First of all, we consider efficiency. New refrigerators have A+ energy efficiency class. LED display with electronic control will simplify setting up the device. Total No Frost System prevents the formation of ice coating, which relieves you from the necessity of manual defrost. Antibacterial protection prevents unpleasant odour. 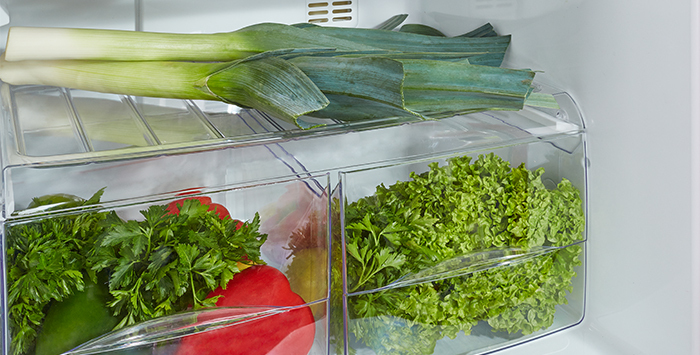 Quick freeze mode helps to freeze a large amount of products immediately, retaining vitamins and nutrients. 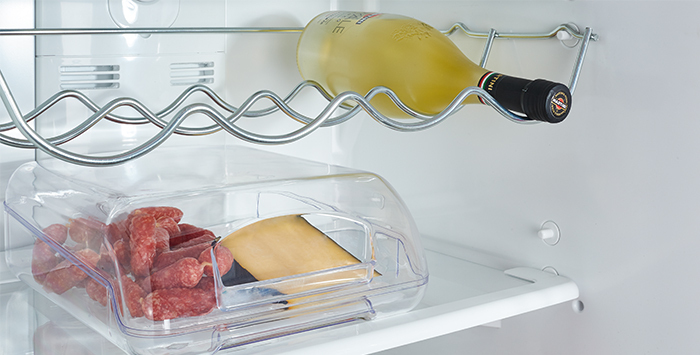 Also, we made sure that you were able to organise the space of refrigerator chamber effectively – it is equipped with a range of useful accessories: chrome bottle rack, special containers for meat, cheese and vegetables. 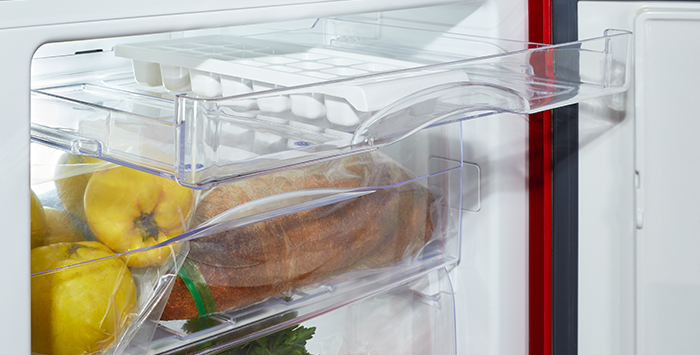 It also has reversible glass shelves in the refrigerator compartment; and drawer for ice and berries, ice cube space, drop down door shelve – in the freezer compartment. 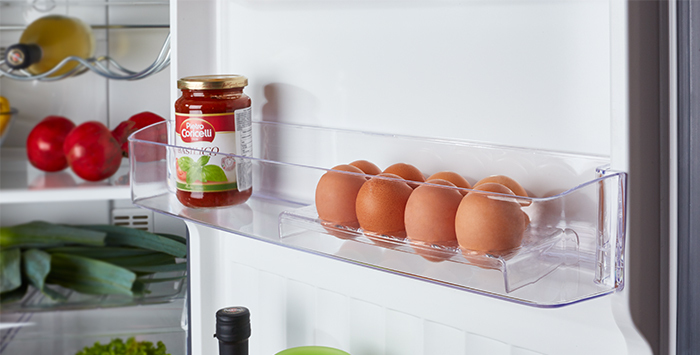 All boxes are made of transparent plastic, due to which you do not need to pull out each to find the right product. Especially for you, Freggia brand designers have selected all the most beautiful and comfortable features from the 50’s, and added modern technologies in order to allow you to fulfil the dream to have fashionable kitchen in retro style, without sacrificing comfort of the XXI century.